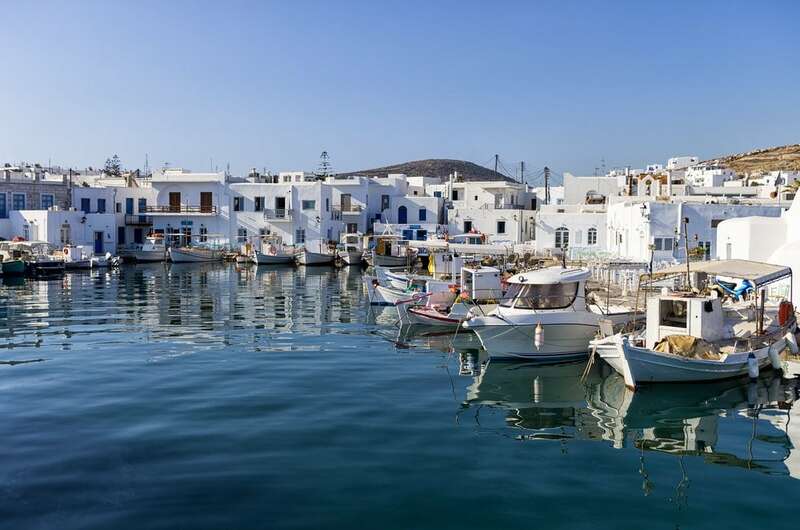 Parikia is the capital and the port of the island. In Parikia there is also the landmark of the island the Panagia Ekatontapiliani church. 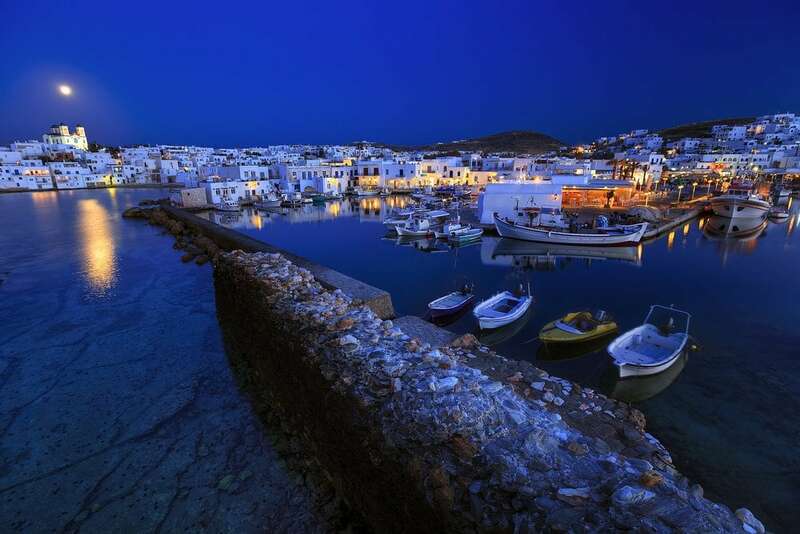 The biggest town of the island is Naoussa, known for the vivid night life. 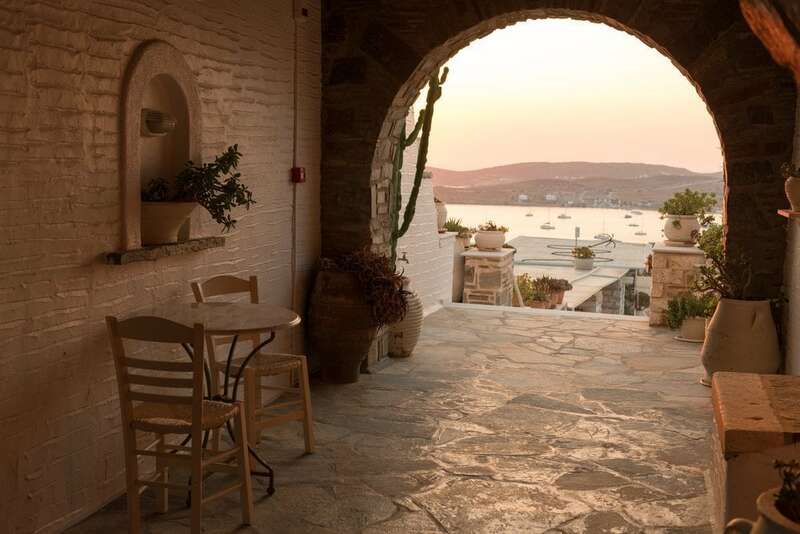 The multicolour little stores are full with souvenirs, while the traditional taverns with the Greek tastes are ready to satisfy the most demanding customers. 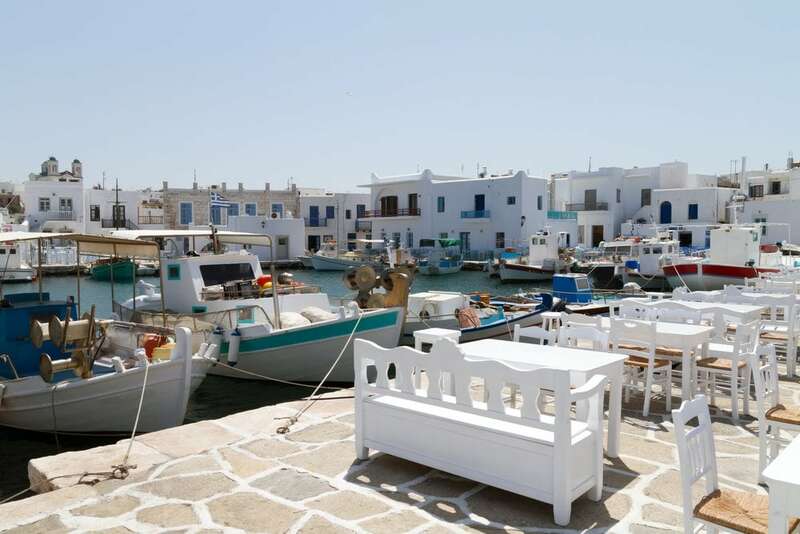 Naoussa has also a little port with access to Antiparos island. One of the most beautiful beaches, Kolympithres has got natural cavities full of sea water, which look like lakes. The beaches of Pounta and Santa Maria are ideals for surfing.